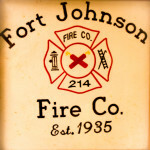 History of the DepartmentThe Fort Johnson Volunteer Fire Company was established in February 1935. 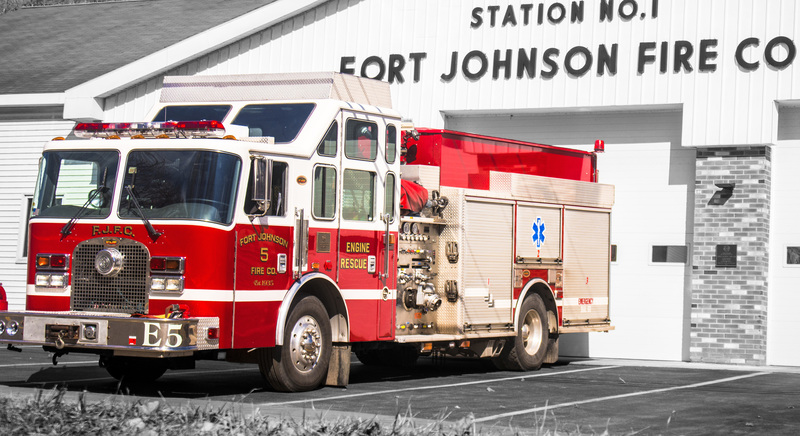 In the past three-quarters of a century, it has grown to accommodate two stations, eight trucks and specialized equipment to serve the Village of Fort Johnson as well as part of the Town of Amsterdam. 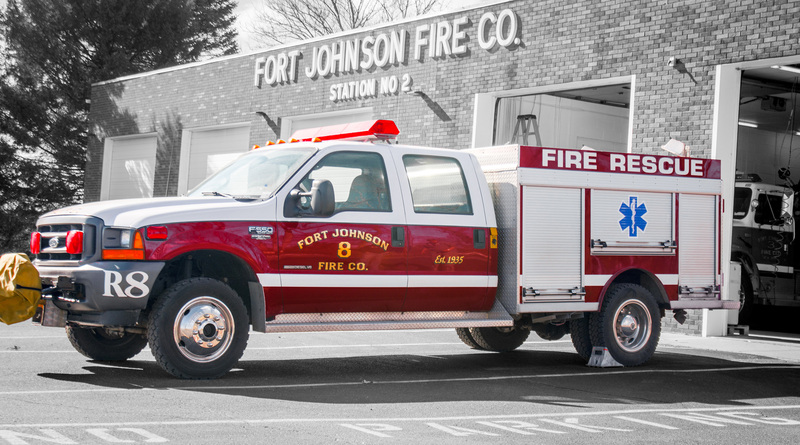 FJFC is committed to providing a superior level of emergency service that continually improves the quality of life, health and safety of the citizens we serve. That goal is achieved through deliberate planning, adaptability and the courage to embrace challenges and opportunities. FirecrackersThe Fort Johnson Volunteer Fire Company was established in February 1935. In the past three-quarters of a century, it has grown to accommodate two stations, eight trucks and specialized equipment to serve the Village of Fort Johnson as well as part of the Town of Amsterdam. FJFC is committed to providing a superior level of emergency service that continually improves the quality of life, health and safety of the citizens we serve. 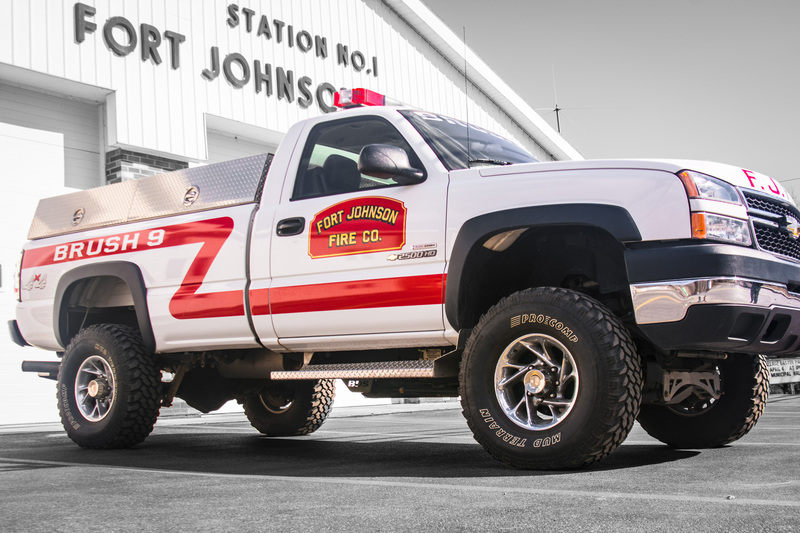 That goal is achieved through deliberate planning, adaptability and the courage to embrace challenges and opportunities.ApparatusThe Fort Johnson Volunteer Fire Company was established in February 1935. In the past three-quarters of a century, it has grown to accommodate two stations, eight trucks and specialized equipment to serve the Village of Fort Johnson as well as part of the Town of Amsterdam. 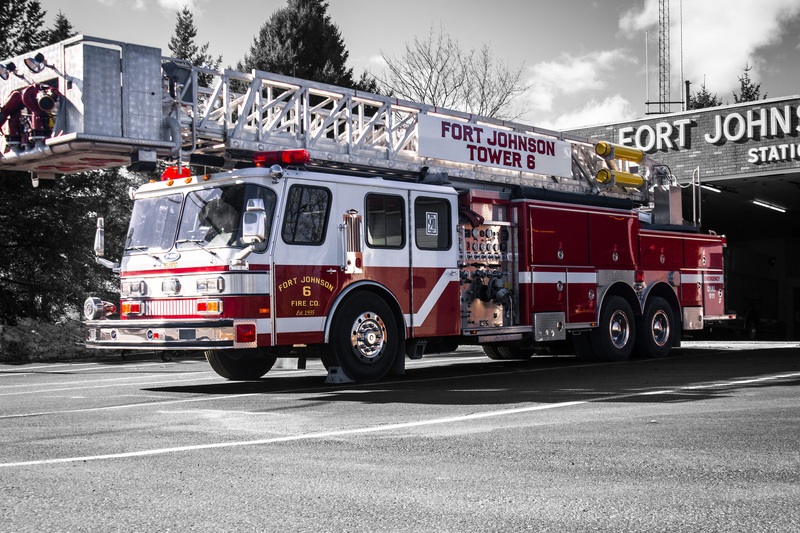 FJFC is committed to providing a superior level of emergency service that continually improves the quality of life, health and safety of the citizens we serve. That goal is achieved through deliberate planning, adaptability and the courage to embrace challenges and opportunities. Our department is home to 9 trucks, 8 of which are active, including 2 engines, 2 tankers, 1 tower, 1 brush truck, 1 rescue and 1 command vehicle. Our original engine from 1935 (engine 1) is still maintained, but today, it is only used for parades. 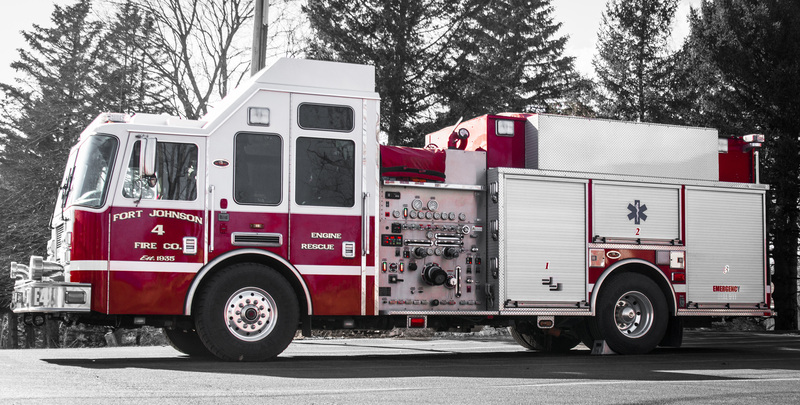 Engine 5 is our most used truck. Housed at station 1, it is equipped with all the tools we need to handle every type of call we receive, from EMS to fully involved structure fires. For fire calls, it carries 1000 gallons of water to hold us over until a tanker arrives to establish water supply. A full crew consists of 4 firefighters in the cab and two up-front, each with a dedicated SCBA. Four spare bottles and a RIT pack are included in the rear compartments as well, totaling 10 scba bottles. This truck is used primarily for brush fires and EMS calls. It is equipped with a pump in the rear, and all the equipment we need to dispense emergency medical services. It is our smallest truck at station 1. A 150 gallon tank and 1,000 feet of forestry hose make it ideal for fighting brush fires in otherwise inaccessible areas. This is our newest engine. It is equipped with around 1,000 gallons of water, plus all the tools we need for any of the calls we receive, from EMS to fully involved structure fires. It includes a full set of new, modern tools. It is located at station 2, and includes a total of 5 packs and an additional 5 scba bottles. Our tower is equipped with a myriad of tools, and is one of our most modern trucks. It is located at station 2, and carries 500 gallons of water in the event of a fire call. Our tower responds to the city of Amsterdam as part of their alarm assignment, helping to address the needs of some of the larger and more crowded buildings in the city. Tanker 2 is housed at station 1. It is engine-capable, and comes filled with 2000 gallons of water, plus all the tools we need to handle any kind of fire. In a rear compartment it contains 2 additional scbas. This truck is housed at station 2, and is used primarily for EMS calls. It contains all the equipment necessary to handle any medical emergency, and is able to make its way to the scene quickly.